You are only as good as your people. Agency leaders often focus on getting the best people. They have to, and they have to keep them happy and engaged. Yet poor resource management and planning exist. These are costly mistakes that rear up in a lot of ways. Which comes first, the client or the team? It’s a hard question. Many agency leaders still rely on educated guesses from years of experience. But it opens a liability because the forecasting is imperfect. Too many people and your margins suffer. Too few people and you can’t take on new work. While you may be able to operate with one person too many or one person too few, it directly impacts your profitability. At a small agency, all it takes is one wrong number to throw off the equation. At a large agency, it can be even worse. You aim too have more people than you need so you can act quickly when new client work comes up, but carrying this cost is difficult. It’s so critical to hire for your long-term vision. You need to match skills with the key services that are making the most money for your agency..
Say you have just won a six-month contract that includes several new service offerings for you. Your initial reaction is to hire for what you need to deliver on : a designer, writer. I bet you delivered a great campaign! But when the contract ends, then what? You have to build a sales pipeline that fits those skills. Or, you try to put them in roles they are not great at. Or, even worse, you need to let people go. It’s not a good situation to be in. No matter what, the situation results in you spending time and money on people and projects that are not benefiting your business. If you’re hiring, you’re probably in a rush to fill the position. It might feel like a fire drill! You need someone to plug a hole, and you want it yesterday. I’ve been at agencies where we hired fast to fill a need. We actually expected and understood that people would come and go. The interview process was short. Basically, we believed that if it doesn’t work out, we can just deal with it later. Putting the wrong person on the wrong account is damaging in many ways. First, the clients sees right through it and become dissatisfied. It follows that the employee who is used to doing really well in previous positions gets frustrated and wants to leave. Ultimately, you wind up spending more billable hours from other resources (because you are trying to make up for poor work). The big problem for growing agencies is managing your work supply (human resources) with your demand (sales and contracts). Labor costs are usually your largest expense, so it makes sense that when this balance gets off, so does your profitability. Not to mention the sheer fact of being able to meet client expectations and deadlines. There are other concerns, like cultural impacts on your already-growing team. In a nutshell, having the wrong amount and wrong type of people on staff impacts your bottom line and your culture. To fix this, get a true visual into your sales pipe. Understand the work that’s coming in both by type of work and amount. Your core staff should be able to meet the bulk of these needs. For anything short term or narrowly targeted by a niche skill, pull in a contractor to fill the resource gap. 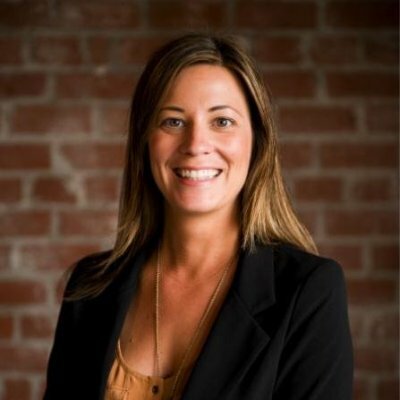 As you build your trusted network of vetted talent you can rely on, you’ll be able to market this to your clients as your unique ability to tap top talent at a moment’s notice. That means you’ll win more work, deliver it more profitably, and scale up in this competitive economy. 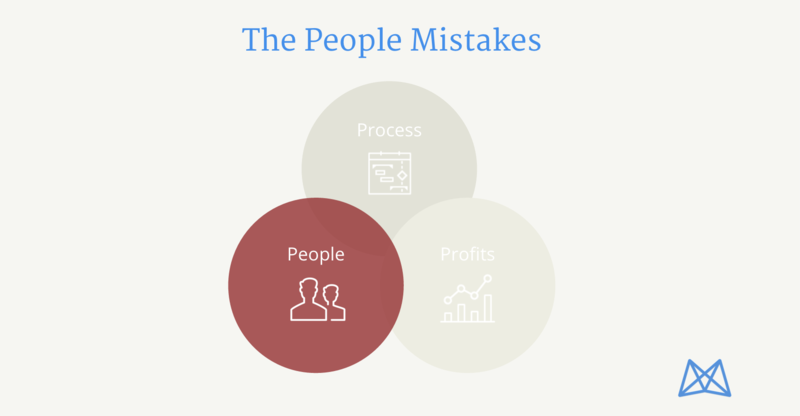 Now that you know the people mistakes, let’s tackle the profit mistakes.